Quigley Electric is on hand to professionally install, maintain and service, repair or replace all of your Residential electrical requirements. Whether it be supplying and installing smoke alarms, through to a complete new house wiring, your safety is our responsibility. Quigley Electric ensures peace-of-mind by having a team of qualified, experienced and accredited electricians on the job. We offer safety checks including switchboards, appliances and power outlets in your home, ensuring your family is free from electrical dangers. Our services also include surge protection, upgrades and inspections. If your residential home’s electrics are faulty or no longer suited to fit your requirements, call Quigley Electric to undertake an inspection. 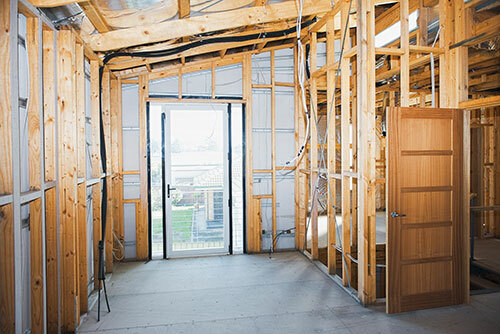 Our friendly and professional electricians will provide you with advice about the best solutions, which installations you need, what they will cost, and how long it takes to fit. If your home electrics are faulty or no longer suited to fit your needs, it can save you hassle and money if you hire Cartella to do an inspection. Our friendly contractors will provide you with advice about the best solutions, which installations you need, what they will cost, and how long it takes to fit or fix them. Call Quigley Electric at 403 938 4570 for a FREE consultation.